Valve has announced it is holding a developers' conference to drum up interest for its new Steam Machines. Revealed back in September, Steam Machines are Valve's take on the games console - with myriad manufacturers making their own gaming variants using SteamOS. At the time, Valve revealed that only 300 prototypes would be sent out to devs so the conference will be a chance for others to try out a Steam Machine as well as the Steam Controller. 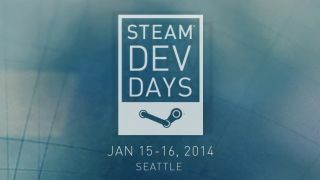 The event is taking place January 15-16 2014 in Seattle and Valve is promising a range of lectures by 'industry veterans' as well as roundtable discussions from a host of games controllers. Also, Steam Machines! According to Valve the event will also include talks on VR, Linux/OpenGL and user-generated content and your chance to test-drive and provide feedback on, yup you've guessed it, Steam Machines. In other Steam Machines news, it seems that Nvidia won't be the only one who will have its architecture inside the consoles. AMD has also confirmed that it is on board with its graphical prowess. Here's all you need to know about Valve's Steamy new consoles.